Tech gadgets form an integral part of fashion accessories. 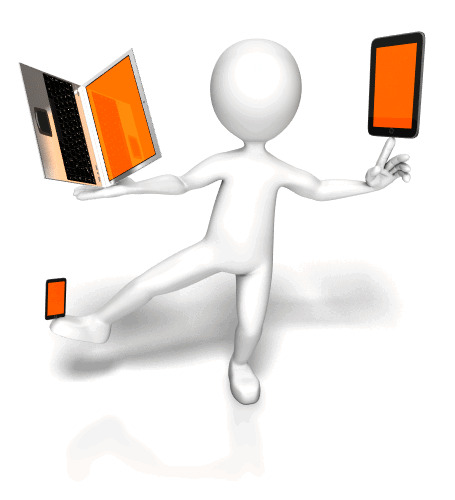 The gadgets you carry around tell people about your likes, dislikes and ability to integrate with technology. This is the second article in relation to high-tech fashion gadgets, read about the first one here. Would you have thought that there's a shirt that one can wear for 100 days without washing? Wearing a shirt for so many days without any cleaning seems very disgusting, but it is now possible since Wool and Prince claims their Button-Down shirt can do that. The Button Down Shirt seems just like a wool shirt. 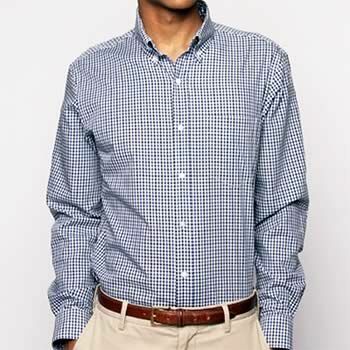 But it is actually made of wool thread which gives the shirt natural anti-wrinkle and odor resistance properties. In this way, skin bacteria don't have a chance at affecting you. The waxy coating of the fabric discourages staining. Wool and Prince, the manufacturers of this shirt, have also claimed that sweat does not stick to the shirt because the woolen fabric allows moisture to escape. They claim the shirt smells fresh even after being worn after rigorous exercise. This shirt is good news to men who don't want to wash their shirts so often. The cellphone is one invention that has had a great influence on mankind because it has revolutionized the way we communicate. As time went by, the cellphone evolved in functionality and even size. We usually have pouches to carry our cellphones but now it is time to get rid of all these pouches and covers. 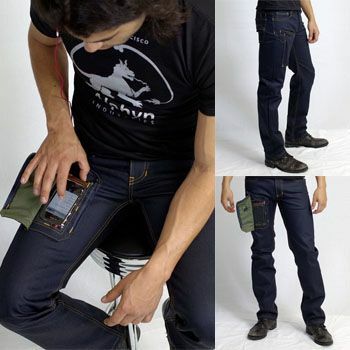 Wearcom Jeans lets you use your phone while it stays in your pocket. Instead of putting your hand in your pocket and pull out your cellphone to text or surf the internet, you can easily access and operate your cell in your pocket. The Wearcom Jeans have a see-through pocket on the right leg side where you can fiddle with the handset. All you want to do is unzip the patch to reveal a transparent pouch that will allow you to interact with your cellphone easily by using touch controls. The pocket can accommodate any gadget up to 3 x 5 inches (W x H). This is something that will make us different from others who are wearing simple regular pants and pulling out their cells from their pockets in an old manner. 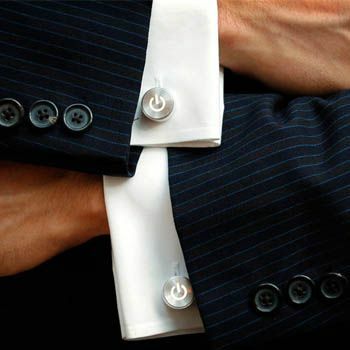 Wearing a pair of cufflinks makes you feel as though you are smarter compared to having a pair of buttons making sure the end of those sleeves remain close together. If you are the tech-savvy kind , then you might want to check out the iCufflinks - it looks absolutely gorgeous being made out of machined aluminium, where it comes complete with "pulsating" LED. The LED itself will be powered by a battery that can last up to 72 hours. The "pulsing pattern" is said to be the same as the "breathing" pattern found in most notebooks and desktops. The default pattern has been reverse engineered from Apple's "breathing" LED which can be found on most Macs, MacBooks and iMacs, which leaves one wondering if there's a possibility that the iCufflinks manufacturer's will be served up a cease and desist letter from Apple's lawyers. Lazy men to be specific.